Is Chris Collins a 'perfect fit' for Northwestern basketball? Maybe. Can Chris Collins finally take NU to the NCAA tournament? 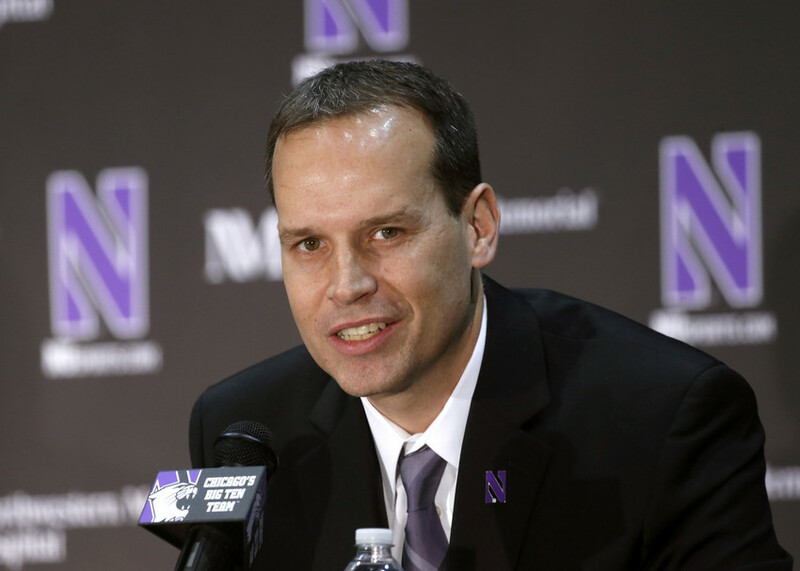 Will Chris Collins be the answer to Northwestern University&apos;s beleaguered men&apos;s basketball program&apos;s prayers? The Chicago area was a big part of the new Wildcats coach&apos;s life growing up. When his dad, Doug, was the Chicago Bulls&apos; head coach, Chris was a ball boy for the team. Then, the younger Collins was named Illinois "Mr. Basketball" while playing hoops at Glenbrook North High School. He played collegiate ball at Duke, then worked as an assistant at Seton Hall before serving as a member of Coach Mike Krzyzewski’s Blue Devils staff the last 13 years. The 38-year-old Collins reportedly inked a seven-year deal with Northwestern, saying this challenge is "a perfect fit" for him and the school. Collins understands the academic dynamics of college ball, because Duke has been able to recruit players that also have strong academic backgrounds. A perfect example is Simeon&apos;s Jabari Parker: The student-athlete is best player in the country and is headed for Duke. Collins knows the Chicago prep school scene. You never know: Maybe Parker could have ended up at Northwestern if Collins had taken the job sooner. But this is where the new coach must make his mark. He has some pretty stellar sounding boards in Coach K and his dad. Doug Collins is busy coaching the Philadelphia 76ers, but the father and son are still close, and the elder Collins is a fount of knowledge. He&apos;s in good company at Northwestern. The success that head coach Pat Fitzgerald is having with the football program is a huge plus for the future of the school&apos;s athletics program. The Big Ten Conference is a huge challenge. Collins will be competing in one of the best and toughest conferences in the country. It will be the games, as well as the recruiting, that test his mettle. The Wildcats have never been to an NCAA tournament. Collins must convince some of the "blue chip" players that they have an opportunity to succeed with him. That stage is very important to a high school player when he&apos;s deciding on his college choice. Recruitment. Collins mus find players who proved their acumen for high school academic – and who can also shoot a jump shot. The Northwestern basketball facilities need to be upgraded, as the school just did for its football program. Collins needs to fill out his coaching staff. None of this will be easy, but this hire makes the Wildcats basketball program one to watch from now on.